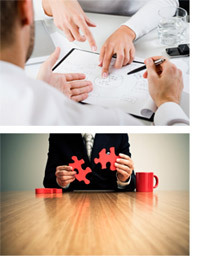 Trevor Gardner Associates has a wide range of skills, knowledge and expertise. He has a wide range of experience working with; community groups, voluntary sector organisations, charities, church and other faith communities, private companies, statutory agencies and government departments. He has helped set up over 20 major projects and initiatives and has excellent organisational, presentation and communication skills. Trevor has a relaxed, enthusiastic style and a ‘can do’ approach, which encourages engagement and partnership and brings about Innovative Solutions. To see how Trevor Gardner Associates can help you, contact us today.